At last! 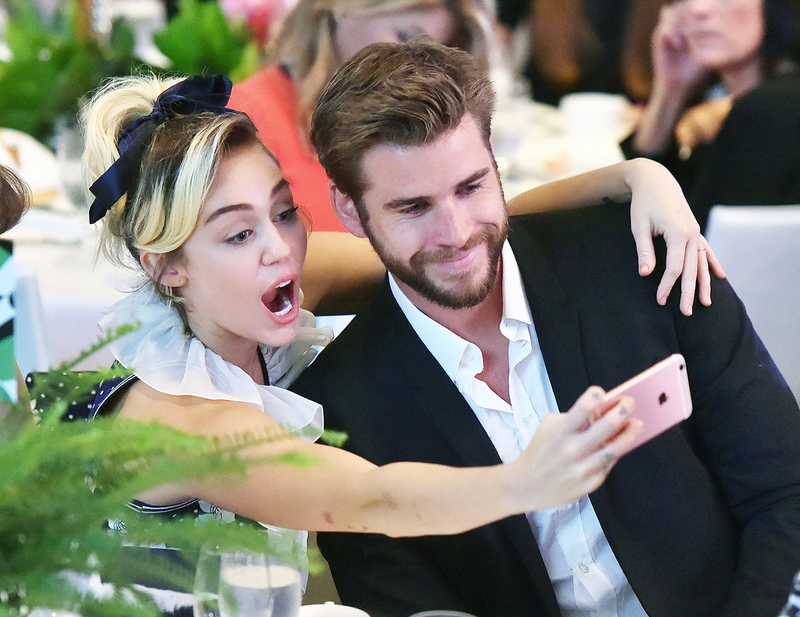 Liam Hemsworth accompanied girlfriend Miley Cyrus to Variety’s 2016 Power Women luncheon in Beverly Hills Friday, October 14. PHOTOS: Miley Cyrus and Liam Hemsworth's Love Story: Where Are They Now? At the luncheon — where Cyrus was honored for her work with her Happy Hippie Foundation along with other fierce females such as Helen Mirren, Scarlett Johansson and Laverne Cox — the engaged couple sat together; at one point, Cyrus, 23, snapped a silly selfie with Hemsworth, 26. According to an eyewitness at the event, the Hunger Games actor was attentive to Cyrus and escorted her upstairs to a private area before sitting down together. As previously reported by Us, the lovebirds, who live together in Malibu, have been busy working on a play together. The two are also still navigating their way through wedding planning. After scrapping the idea of a small wedding in Australia, sources tell Us they&apos;re hoping to say “I do” this fall. “Miley has been trying to keep everything a secret,” an insider tells Us of the Voice coach.